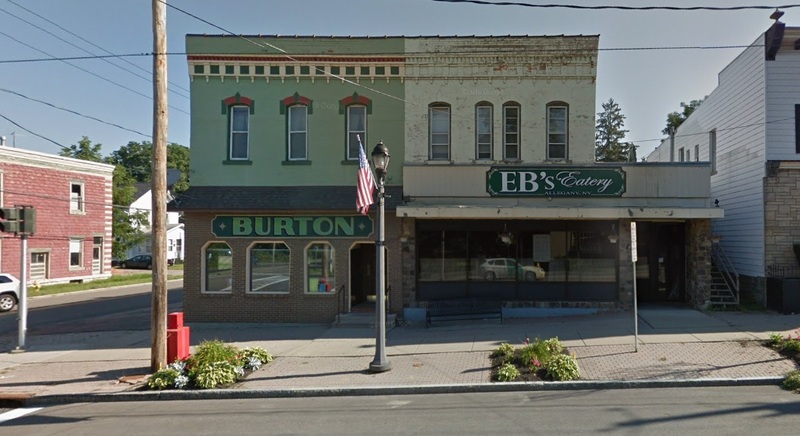 For the last 43 years, the Collins family has owned and operated the Burton, at 1 E. Main St. in Allegany. The bar-restaurant, which sits less than a mile from St. Bonaventure University and regularly hosts basketball watch parties, is a staple for college students and alumni in town. Chuck Collins and Crisanne Nevin, the two current owners who inherited the business from their father, Patsy Collins, announced on Facebook that they are selling the restaurant in order to attend to personal matters. The Burton will remain open until the sale is complete, so even though St. Bonaventure men's basketball narrowly missed out on an NCAA Tournament berth, there's ample reason to support the business. The list price for The Burton is $469,900, according to real estate agent Chrissy Young of Howard Hanna. Collins and Nevin plan to pass on the recipe for the Burton's lauded half-pound burgers, which topped a NewYorkUpstate.com poll in 2016. Their Barnyard Burger, which is topped with bacon, a chicken tender, lettuce, tomato and ranch dressing, is something of a cult favorite, too.